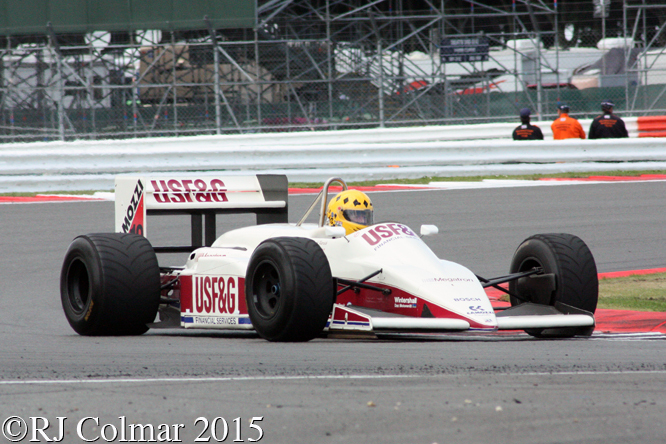 Today’s post features some of the more off the wall stories behind last months Silver Jubilee Silverstone Classic. Greeting VIP’s in the VIP car park on the Friday was this 1962 Bristol MW6G (Medium Weight originally fitted 112hp Gardiner 8.4 litre 6HLW 6 cylinder engine). 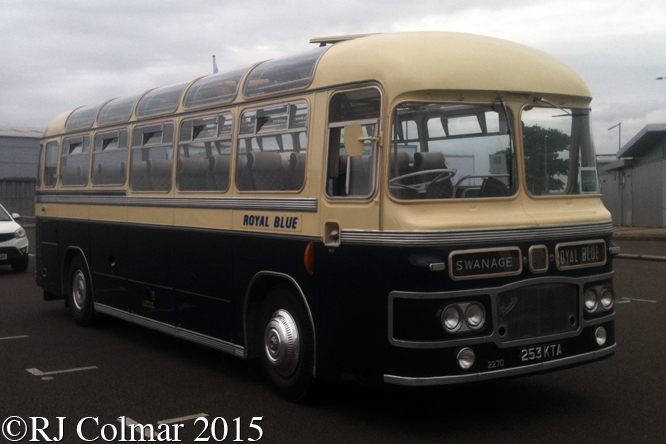 Royal Blue operated out of Bournemouth from 1880 to 1986, this coach is one of at least two owned by the White Brothers in Gaydon. 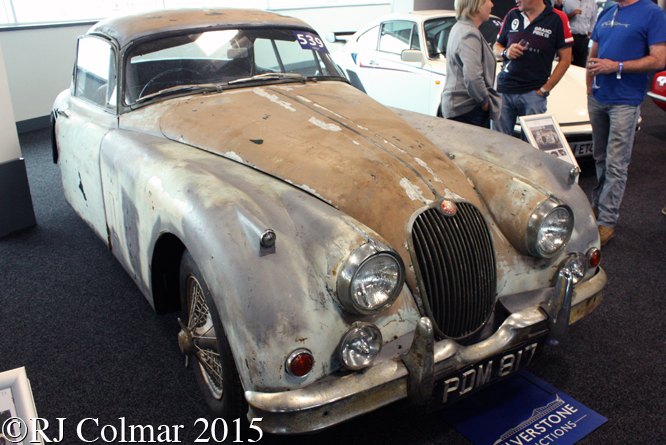 On the Thursday I attended the auction, for the first time since the 1980’s, and among the lots was this 1958 non matching numbers Jaguar XK150 in need of a little TLC which sold for a tad over £20,000 pounds, or the price of a couple of brand new Dacia’s. Waiting ready to race was the Cooper Monaco chassis CM/2/59, its early history is unknown to me, but more recent owners have included Frank Sytner and Bristolian Ted Williams. The Cooper was bought for just short of £220,000 by Justin Maeers who claims he only popped in to the auction for the free beer. After Charles Gillet blew the engine in his Willment Climax the following day Justin came to an agreement to enter his newly acquired Cooper in it’s place for the Stirling Moss Trophy race. Starting from the back of the grid Justin unfortunately damaged the gearbox after just two laps. 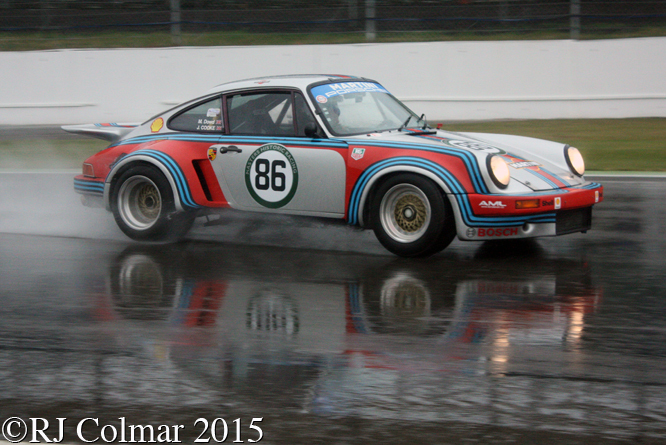 When the heavens seriously started to open during qualifying on Friday many of us with camera’s caught in the rain went for some reflection shots, above the Martini liveried 1974 Porsche 911 RSR of Jeremy Cooke and Mike Dowd which qualified 32nd for the FIA Masters Historic Sports Car race was probably my best effort. 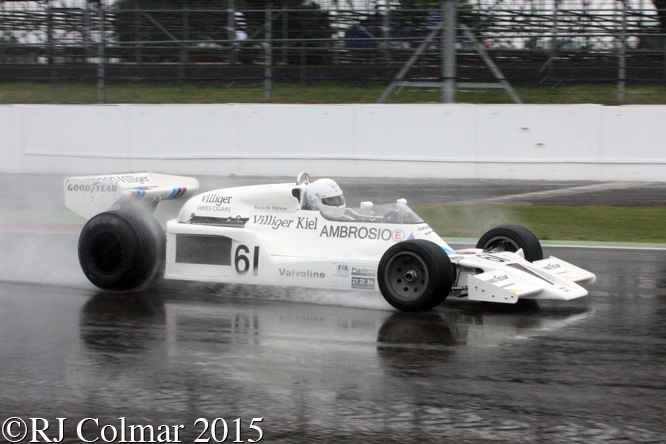 It was a pleasant surprise to see not one but two recently restored 1977 Shadow DN8’s taking part in the FIA Masters Formula One race, above Jason Wright which has a two race history at the end of 1977 when Jean Pierre Jarier replaced Ricardo Patrese at the Canadian Grand Prix and finished 9th and Ricardo finished a non runing 10th at the US GP the following week. 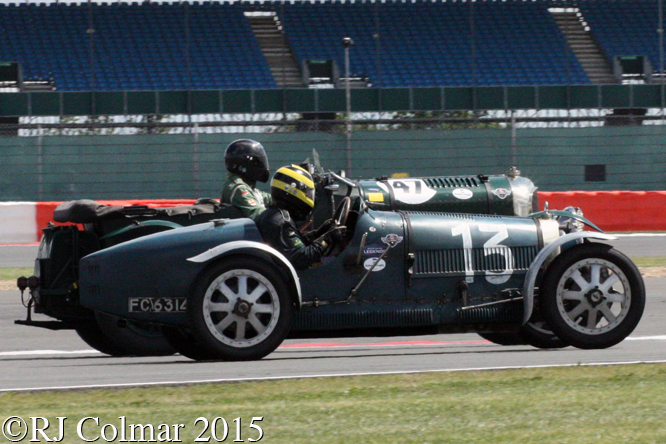 Taking time off from running his monstrous show stealing FIAT S76 was Duncan Pittaway who is seen wheeling his #13 Bugatti T35 passed the #47 Bentley Blower driven by J Ernst on his way to a 7th place finish in the Kidston Trophy for pre war cars, from 8th on the grid. Demonstrating the Turbo Megatron (BMW) powered Arrows A10B was the severely underrated Mike Wilds who just made it to Formula One with the struggling Ensign team then to BRM when BRM was collapsing and since then he has been racing all manor of vehicles including a Shadow DN3, Can Am BRM, Production Saloon 16 Valve Mercedes Benz 190 and numerous Sports and Group C cars at Le Mans. 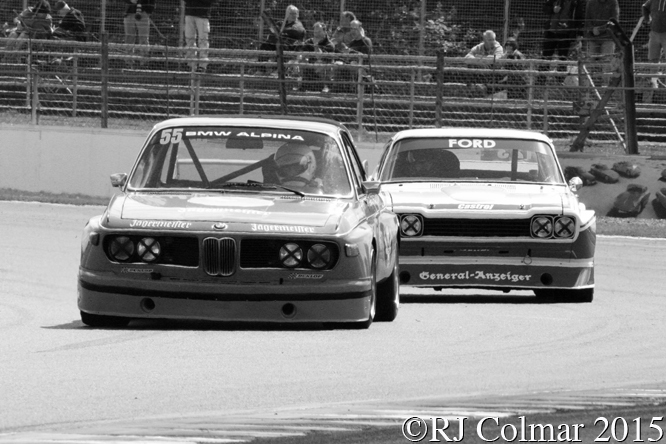 Alpina, celebrating it’s 50th anniversary this year, took a famous RAC Tourist Trophy at Silverstone in 1973 when Derek Bell and Austrian Harald Ertl driving an Alpina BMW 3.0 CSL claimed a 3 lap vicotry over solo driver Jochen Mass in a works Ford RS2600 Cologne Capri, on this occasion Ric Wood in the 1974 24 valve RS3100 Capri got the better of Peter Mullen in the Alpina BMW on their way to finishing 20th and 24th in the Super Touring Car Trophy. 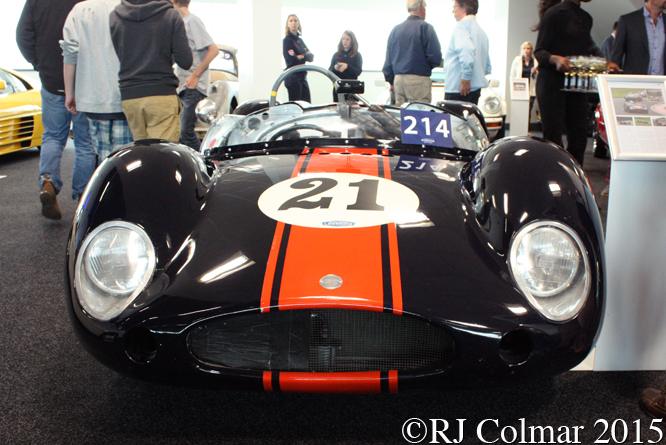 Completely unannounced the Rover BRM which Graham Hill and Jackie Stewart drove to a 10th place finish in 1965 came whistling by on a demonstration lap, I have no idea who the driver was. 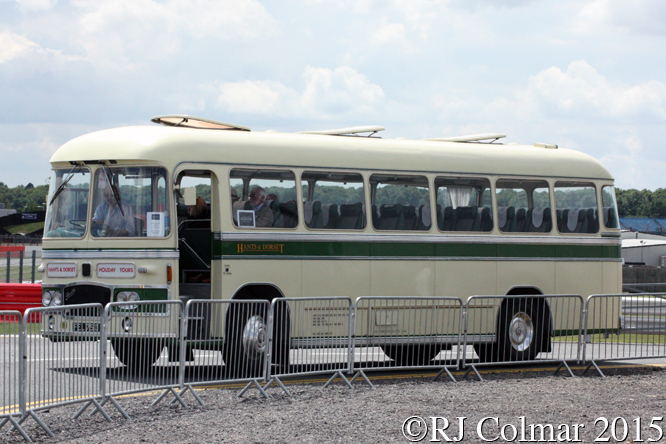 Finally the White brothers 1966 Hants & Dorset Bristol MV6G was on VIP duty all day on Saturday. 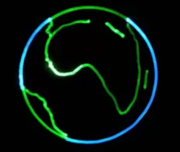 Thanks for joining me on this “Shadows And Reflections” edition of “Gettin’ a li’l psycho on tyres” I hope you will join me again tomorrow when I’ll be looking at another 1975 Formula One contender. Don’t forget to come back now ! 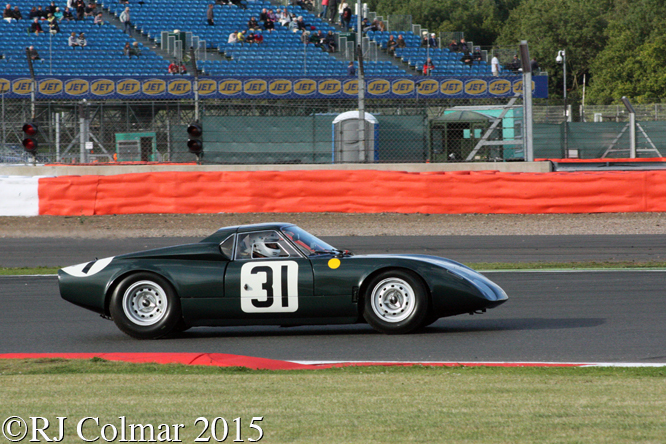 This entry was posted in Uncategorized and tagged 3.0, 911, A10B, Alpina, Arrows, Bentley, Blower, BMW, Bristol, BRM, Bugatti, Capri, Classic, Colmar, Cooke, Cooper, CSL, DN8, Dowd, Ernst, Ford, Jaguar, Maeers, Megatron, Monaco, Mullen, MW6G, Pittaway, Porsche, Psychoontyres, Ralph, Rover, RS3100, RSR, Shadow, Silverstone, Silverstone Auctions, T35, White, Wilds, Wood, Wright, XK150 on August 8, 2015 by Ralph.